NYC Restaurant Week may be over until summer, but the LUCKYRICE Festival, (www.luckyrice.com) – a weeklong Asian culinary and cultural feast – is just beginning. From May 2-8, world-renowned chefs and master mixologists specializing in Asian-inspired creations will collaborate on authentic meals that celebrate Chinese, Korean, Japanese, Malaysian and Macau cultures, with some French twists mixed in. The festival’s eight gastronomic events guarantee an exclusive look into Asian culinary culture at its finest. This intimate dinner event at Anita Lo’s award-winning Annisa Restaurant begins with a cocktail hour at 7pm, followed by a five-course feast with wine pairings. Each of the five courses will pay homage to one of the Festival’s events as Lo’s tantalizing menu incorporates flavors from all over Asia and includes sweet touches of French culture. 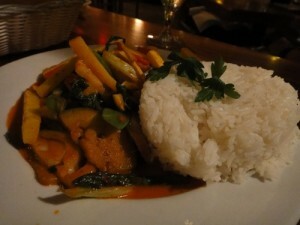 Location: Annisa, 13 Barrow St., Manhattan, http://www.annisarestaurant.com/. Get acquainted with quirky Asian-infused cocktails created by NYC’s top mixology talents at this 21+ event. A VIP hour will start the evening with hors d’oeuvres and cocktails. During the main event, experts from more than a dozen acclaimed restaurants and bars, including Momofuku Ssäm Bar (http://www.momofuku.com/restaurants/ssam-bar/) and Madam Geneva (http://www.madamgeneva-nyc.com/), will mix up their finest concoctions that highlight Asian flavors and culture. 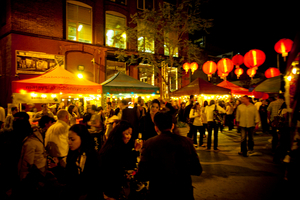 Hosted by Momofuku (http://www.momofuku.com/), this event features several of NYC’s most beloved street vendors as they bring traditional Asian street grub to the historic DUMBO Archway in Brooklyn. Bao Bing, Kimchi Taco, Kwik Meal (http://kwikmeal.net/) and Big Gay Ice Cream Truck (http://www.biggayicecreamtruck.com/) are a few of the more than 50 restaurants and eateries participating in this classic Asian night market event. Custom cocktails, shochu, sake, beer and wine will be available at the indoor bar. This event will be held rain or shine. 21+ for cocktails. Star guest chefs David Wong and Tong Ion Keong visit New York from the Institute of Tourism Studies (IFT) in Macau to prepare a savory, five-course Macanese meal, a combination of Portuguese cuisine infused with Southeast Asian and Lusophone influences, paired with Portuguese wines. This event also includes cocktails and hors d’oeuvres served in the living room and garden of the James Beard House (http://www.jamesbeard.org/). Iron Chef Morimoto will host a Japanese “omakase”-style (chef’s choice) dinner, starting with a pre-dinner cocktail hour and including dinner paired with Japanese cocktails and German wines. The tentative menu includes toro tartar (caviar, avocado panna cotta), surf and turf (roasted lobster “epice” with lemon crème fraiche and grilled kobe striploin, Japanese sweet potato, scallion, hot oil) and marscapone cheesecake for dessert. Prepare your taste buds for an adventure through Asia’s diverse cultures at the Grand Feast in the Mandarin Oriental ballroom (http://www.mandarinoriental.com/newyork/) overlooking Central Park. Star chefs traveling from Korea, Taiwan, Macau and Malaysia will join chefs from the LUCKYRICE culinary council as well as some of NYC’s acclaimed masters to bring exquisite culinary creations to the table. 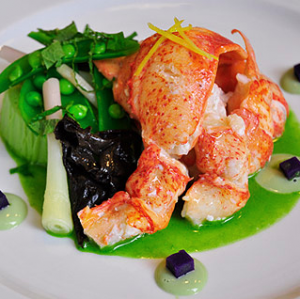 Asiate (http://www.mandarinoriental.com/newyork/dining/asiate/), Matsuri (http://www.matsurinyc.com/) and Mehtaphor (http://www.mehtaphornyc.com/mehtaphor.html) are just two of the top restaurants participating. 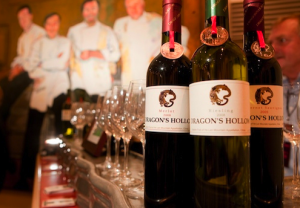 Legendary chefs Daniel Boulud and Susur Lee fuse French and Chinese cuisine into an unprecedented Chinese banquet dinner at Daniel. A cocktail hour featuring hors d’oeuvres chinois will kick off the evening, followed by a seated dinner. Next up, the chefs will create their own unique interpretation of the same dishes, or “duos,” for guests. Each course will include a wine or champagne pairing, selected by Sommelier Raj Vaidya. Hosted by Cooking Channel’s Ching-He Huang, the Talk + Taste offers the chance to watch star chefs work their magic in cooking demos, sample regional specialties, and mingle with other foodies. Chefs Ching-He Huang, Ming Tsai (Blue Ginger), Angelo Sosa (Social Eatz) and Jennifer Maeng will showcase their best dishes in the Professional Demo Kitchen. Watch up to six culinary demonstrations and mill around the lounge, sampling savory food and drinks while learning about the featured culinary showcases. With a VIP LUCKYRICE Passport ($400, over $500 value), you’ll receive exclusive access to events at discounted rates, along with giveaways and other perks throughout the events. Enjoy VIP access to VIP hour at Opening Cocktails, Night Market and Grand Feast with specialty food and drink; VIP speedline entrance to Opening Cocktails, Night Market and Grand Feast; and a BOMBAY SAPPHIRE® Ultimate Martini Set. VIP tickets are valid for the Opening Cocktails, Night Market, Grand Feast and Talk + Taste. For LUCKYRICE Festival and VIP Passport tickets, visit www.luckyrice.com. This entry was posted on Sunday, May 1st, 2011 at 9:27 pm	and is filed under Stuff to Do. You can follow any responses to this entry through the RSS 2.0 feed. You can leave a response, or trackback from your own site.